As you are scouting for homes for sale, did you happen to hear the latest update from the Federal Reserve? Mid December, The Federal board members raised the rates by 0.25%. What does that really mean and how will that have an impact on your home search and affordability? The central bank of the US, The Federal Reserve or the Fed controls rates, among other things, on overnight loans from bank to bank or from the Fed to member banks. The reason for adjusting the interest rates is to maximize employment and stabilize consumer prices. Because The Fed has seen some economic improvement, raising rates, is an attempt to keep the pace of growth and inflation under control. 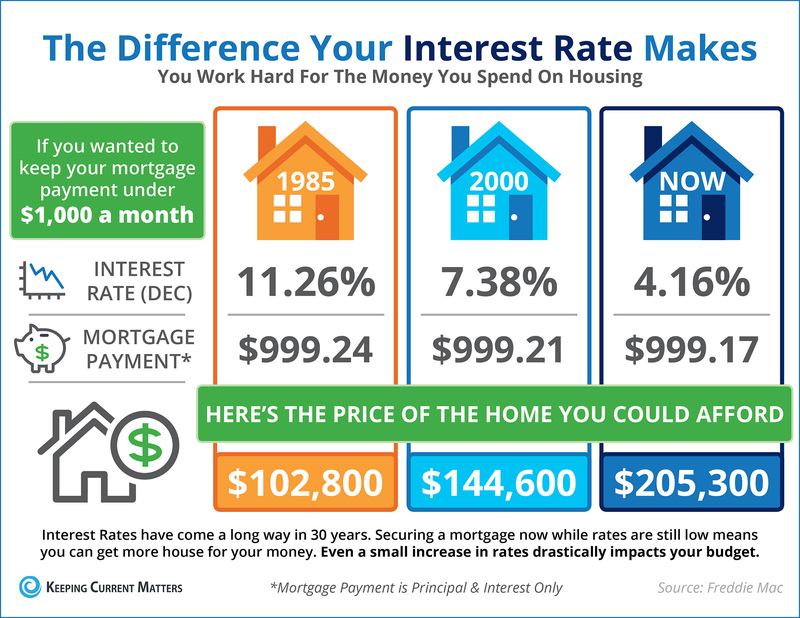 Keeping Current Matters (KCM), posted a timely blog that highlight how a rate change will affect you as a home buyer and your purchasing power. Your purchasing power is greatly impacted by the interest rate you secure. Waiting to purchase will lower your purchasing power as the interest rates goes up. Intrest rates are however still historically low. If are you ready to buy a home, then give us a call at (626) 629-8439 for a private consultation where we can discuss specific house buying advice tailored to meet your needs. We look forward to being of service! If you are interested in selling your home, call Irina Netchaev at 626-627-7107 for a private consultation.